Kara gets picked to be one of ten contestants in a month-long audition for a new teen variety show. No one knows who the co-host will be, but they do know he’s already big-time. ‘He’ just happens to be Chad Beacon, who became big-time famous after winning America’s Next Star. Chad’s a Christian and he and his parents have decided that whoever co-hosts with him needs to be one, too. Flora, a family friend who they’ve (Chad’s family) known for years, get’s the job of being house mother to the ten girls so she can pick out one with the best character, and hopefully a Christian. The girls don’t realize that their character is being watched, so therefore their ‘true’ self is portrayed for Flora to examine. Kara comes from a loving and close family, and therefore has good values that draws Flora to her immediately. But will she become a Christian? 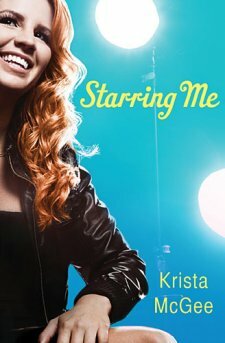 Despite her best friend, Addy, being a Christian, Kara has no desire to give God control of her life. It wasn’t what I was expecting. For some reason I thought it was going to be funny. Maybe it’s cause I read it when I was tired, but it didn’t really strike me as something to laugh-out-loud about, although I did a time or two. Also, I didn’t realize that the whole book was about the auditions (not that the book dragged), I think the title kind of threw me for a loop. And also, I didn’t like how ‘catty’ the other girls were. I think there was too much of that. Other than that… I thought the characters were very believable and the friendship with Jonathan (the presidents son), was really cool! Addy was a great person too, and like the other reviews I’ve read, it made me want to read the first book. Kara thought Chad was a little to great, in my mind at least. So yeah, if you are the kind of person who doesn’t mind having several chapters filled with catty attitudes, that I would say this is the kind of book you’d love! (And I mean that in a good way. Fun story line and good Christian principles without being preachy.) I read this book over a two day period, so that isn’t really fast for me, but it’s not like I found it boring. Have you read this book? What did you think about it? If you haven’t read it… Do you want to? I’m doing a writing contest, make sure you check it out!